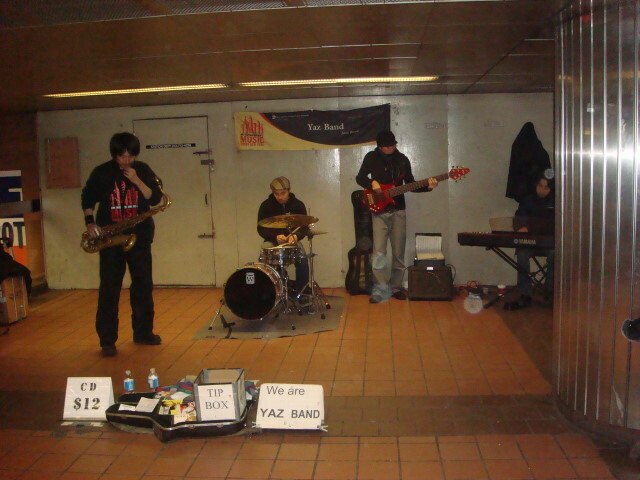 I was recently walking to the Shuttle at Grand Central and ran across one of my favorite performing groups: Yaz Band. It’s a jazz combo playing…jazz. Nothing special. No vocals. Just playing nice music. I seldom see them but, when I do, I always stop off and listen for a while. Yeah, and I do give a tip. Personally, I find the acoustics terrible. But that doesn’t stop me from enjoying these street performers. Yeah, they are Yaz Band. 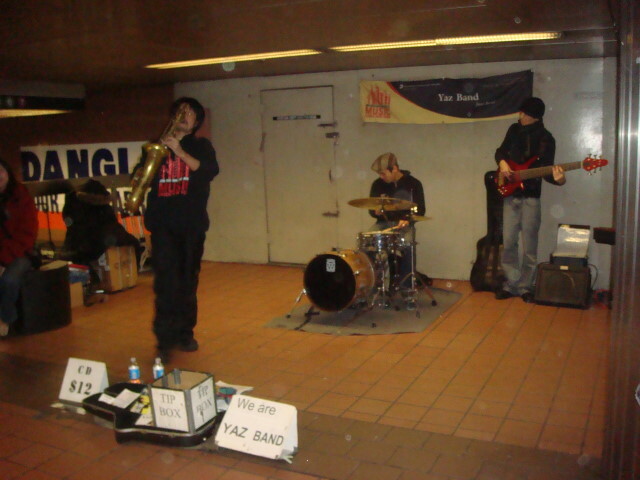 Listening to street musicians (even if they are in the subway): one of the great joys of living in NYC. This entry was posted on April 4, 2008 at 5:16 pm and is filed under Manhattan, Mid-town, Wanderings. You can subscribe via RSS 2.0 feed to this post's comments. You can comment below, or link to this permanent URL from your own site.